What is the TCF ? TCF or Test de Connaissance du Francais ( French Knowledge Test) is an official examination approved by the French Ministry of Education. As for the TOEFL or the TOEIC, every TCF candidate gets a diploma after his exams, where he is given one of the six levels (from A1 to C2) of the skill scales defined by the European Council. This diploma is valid for two years following the date of execution of the test. Oral Comprehension : small conversations, daily life discussions, but also presentations and radio contents. Written Comprehension : MCQ on instructions, informations, reports, press articles, etc. Mastering the Language’s Structures : Conjugation and grammar MCQ. Oral Expression : self introduction, basic interactions (advices …), and social debates. Written Expression : opinions, notes of short articles. Why take the TCF ? Taking stock of his knowledge of French : Via its five possible tests, the candidate for the TCF has clear targets to improve his language skills in different areas. Study in France : lTCF is taken into account for the admission of non-French nationals in the higher education institutions (universities, colleges, art schools, architecture schools, business schools …). Note that it is possible to pass either a classic TCF or TCF DAP (Application for Admission Prerequisite). Read more on the TCF DAP. Find a job in France : TCF is a plus for foreign nationals wishing to expand their CV to apply for a job in France. Settle in Quebec : as part of an immigration procedure in Quebec, you have to assess your level of French. For this, a TCF Québec was created. Read more on the TCF Québec. 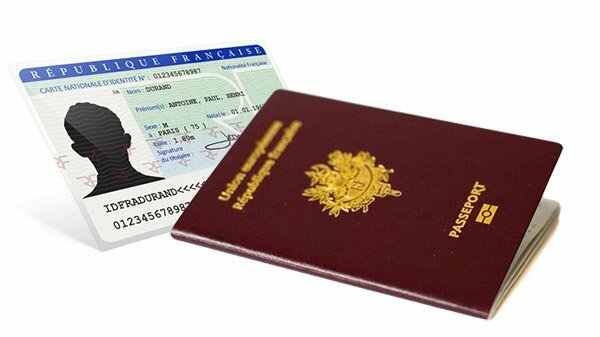 Ask for French Nationality : whether it is an application through marriage or naturalization, TCF ANF (Access to French Nationality), existing since 2012, fixed at level B1 the level required by the French Republic. The TCF ANF has a duration of 45 minutes and involves only the oral tests. Are exempt from passing this test holders of a DELF / DALF diploma (equivalent or higher level). Read more on the TCF ANF. Where to pass the TCF in Vietnam ? Price : The application fees to the TCF are of 2 500 000 VND. Get trained for the TCF with TV5 Monde !